Let's jump back to Wednesday, 13th December 2017. 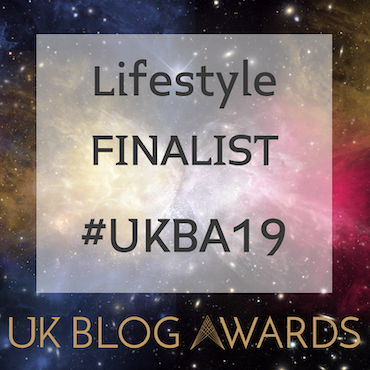 Day 13 of blogmas. My churros cupcake recipe. 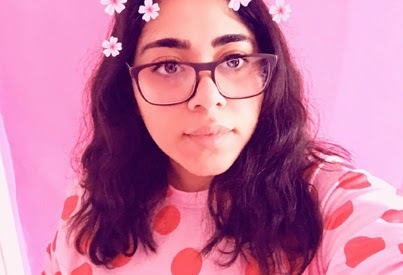 In this post, talking about using churros to decorate my cupcakes, I wrote and I quote, "I bought the churros because I don't think I have the ability to make these just yet, but maybe I can challenge myself a little next year." Well, we are into the next year and that challenge was accepted and completed; I made my very own churros! You know when there is something you love to eat more than anything, you're very particular about it, and you would think you could never replicate this to your very high standards? Well, I have done it. I've got to break some news to you, churros aren't that hard to make. It's basically a very simple choux pastry. If that means absolutely nothing to you, it's a pastry that is made by heating up all your ingredients, except your flour, as you will pour your heated liquid onto your flour and mix. Wait until it has cooled slightly and then pipe. A choux pastry is used for profiteroles and eclairs, so if you're a pastry fan, you probably would have tasted these before. I had always assumed these sorts of pastries would be really hard to produce, but seeing as I managed these churros, maybe I will be sharing a choux pastry recipe or two in the future. Definitely going to be focusing on experimenting with my bakes next year. 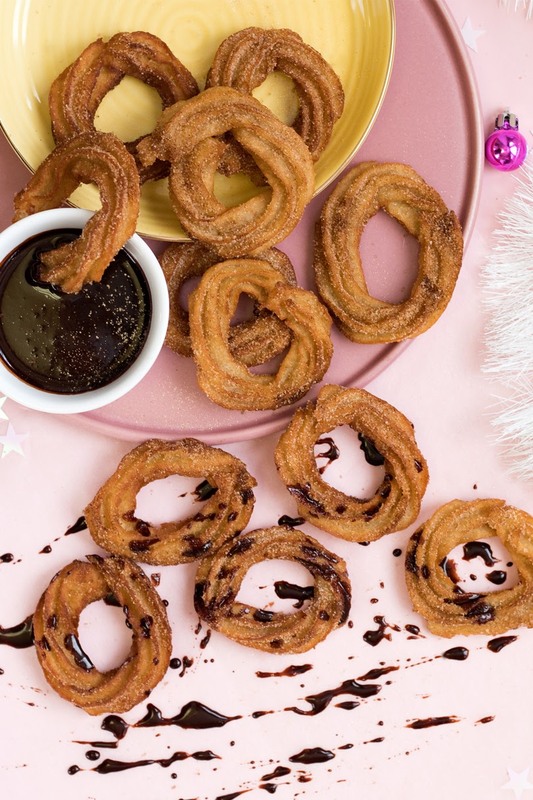 As this post is part of blogmas, I had to give the standard long churros a Christmas twist - which is a lot harder than it seems. I didn't want to experiment with flavours just yet, and I really don't think adding a food colouring would be acceptable (who wants bright red or green churros!?) So instead, I worked with shape and created these wreaths. It's nothing over the top like my usual bakes, but they are really effective. Sometimes you need a little simple in your life. Never thought I'd ever say that. 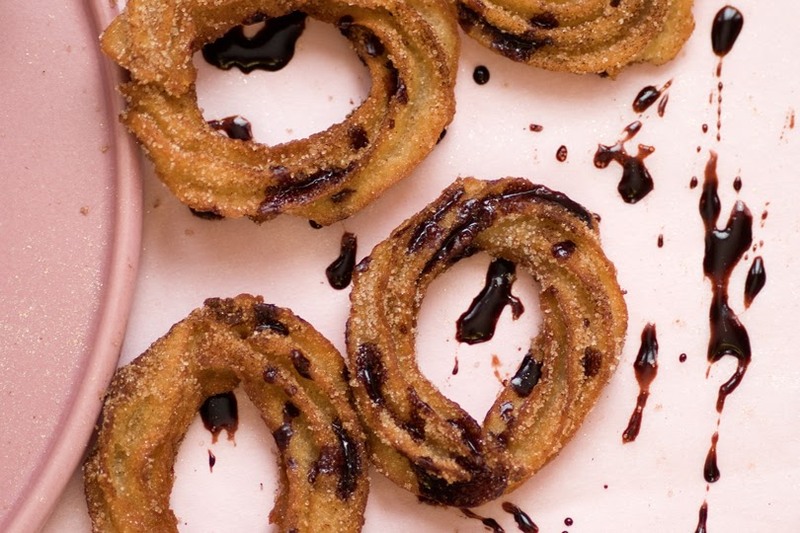 What I’m trying to do with my recipes is create a primary version, of which I can adapt and experiment with later on; churros with new flavours and fillings! 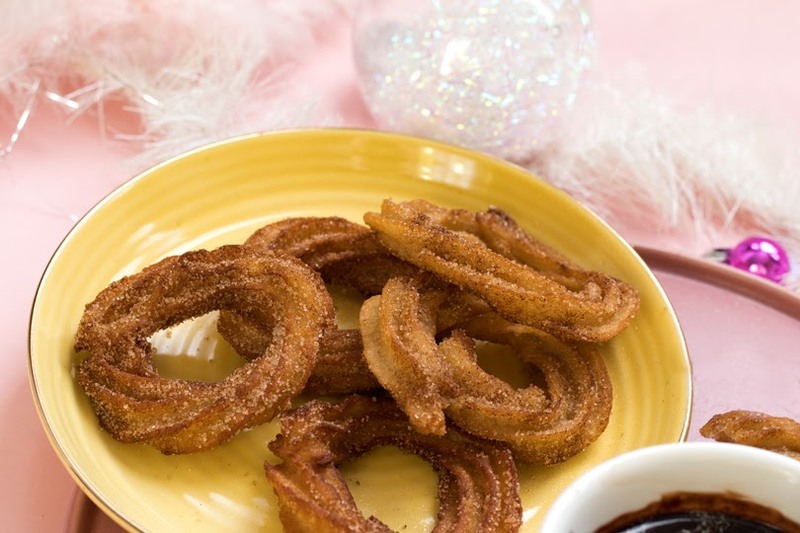 These churros are coated in cinnamon sugar, and of course glitter, but you can bring in your own favourite flavour with a choice of dip. 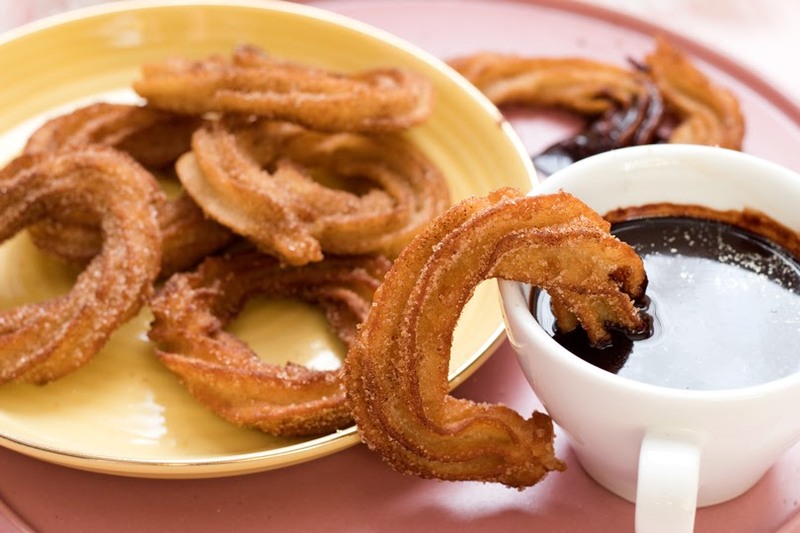 What do you like to dip your churros into? Every time I go to Winter Wonderland in Hyde Park, I have to buy churros. I always get them with melted chocolate poured on top. 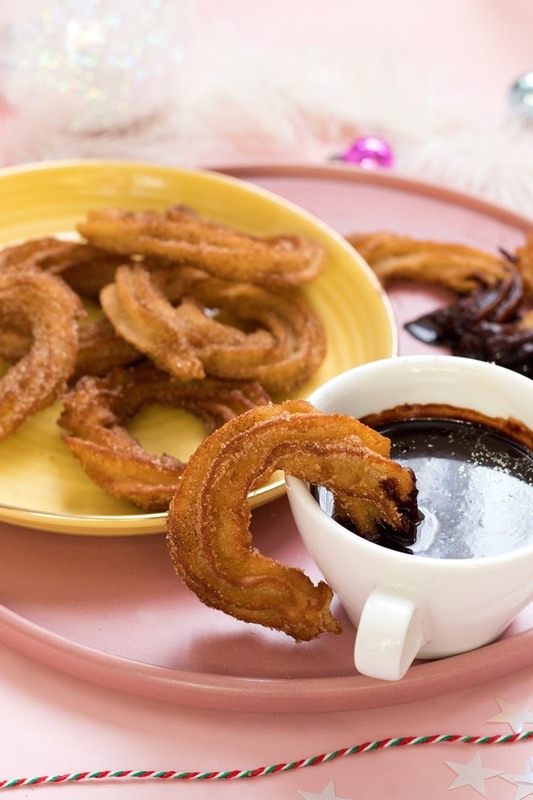 I, of course, have used warm chocolate, but there are so many different flavours and combinations you can use to coat or dip; warmed fruit sauces, dulce de leche or melted peanut butter, or ice-cream if you want something a little contrasting to the warm churros. I can not mention this more than enough; these are best eaten fresh. Straight out of the fryer, into your cinnamon sugar, and then into your mouth. Reheating these won't work, I've tried and was disappointed, and eating them cold is even worse. The best thing about churros is their warm, crunchy texture which you can only get from fresh. In a large bowl, sift together your plain flour, baking powder and salt, and leave to one side. In a medium saucepan, add your water, butter, vanilla extracts and sugar and mix until it has all melted. Pour the liquid mixture into your bowl with the flour, and continually mix until it has fully incorporated and there are no lumps. Leave to cool for about 30 minutes. Pour your dough into a piping bag with a 1.5cm star nozzle, and onto baking paper, pipe circle rounds (you can draw the circles on the back of your paper if you find this easier). Mine were about 6cm. Heat the oil in a deep pan until it reaches 190°C/375°F. While the oil is heating, mix together your caster sugar and cinnamon to make your cinnamon sugar. Leave to one side. Slowly and carefully place the churros into the oil, a couple at a time. Fry until they're golden on both sides, and straight onto kitchen towel before you coat them into the cinnamon sugar. Serve fresh and warm with your chosen sauce or dip. 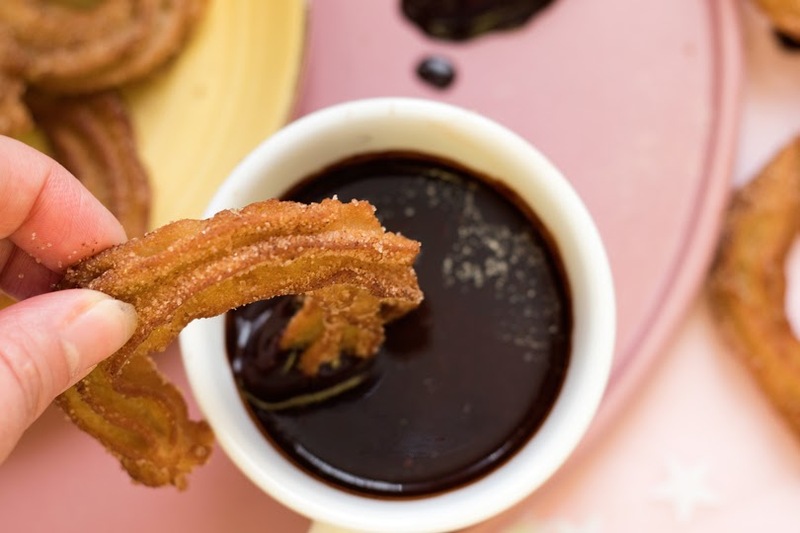 Let me know in the comments below how you like to eat your churros; dipped in a sauce, or covered in melted chocolate. 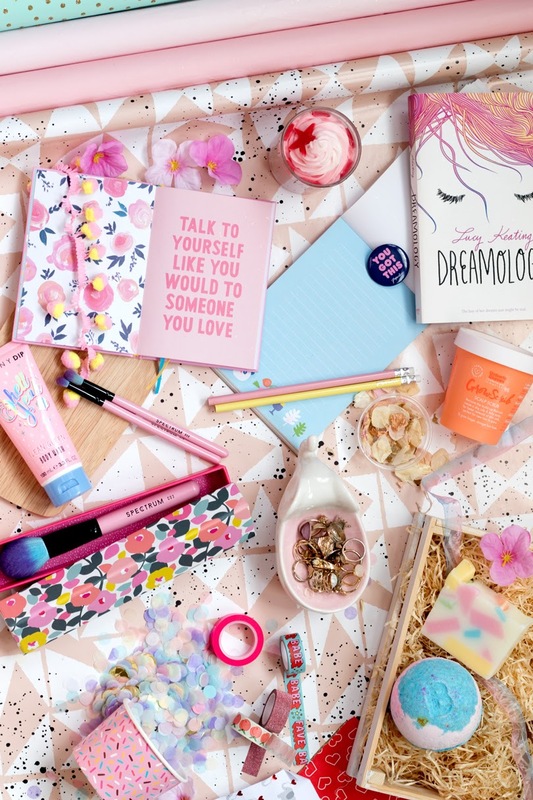 My advent calendar is getting nicely filled, so go check that out too.